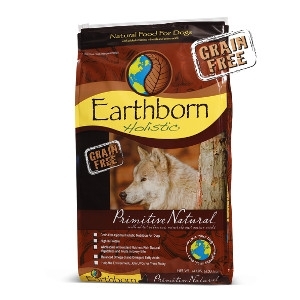 Earthborn Holistic® Primitive Natural™ provides the taste your dog loves and the nutrition he needs for physical well-being and good health. Primitive Natural™ offers a grain and gluten-free, protein-rich diet of turkey meal, chicken meal and whitefish meal, satisfying your dog's instinctual craving for animal nutrition. *Available in 14 and 28 lb. bags.